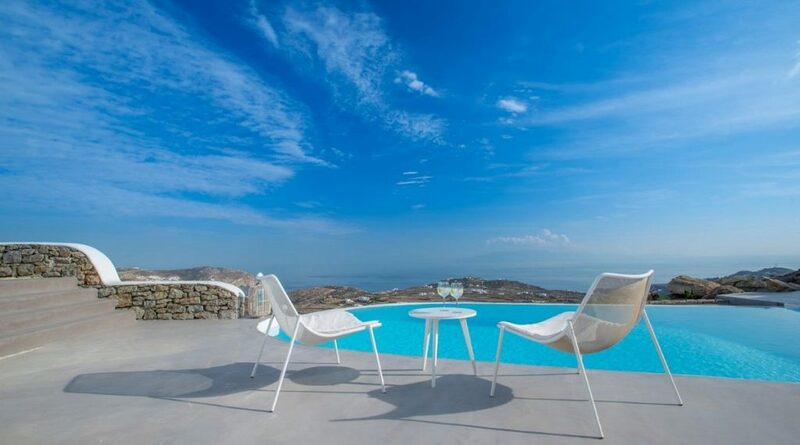 Drive on top of hill of Kounoupas and find the luxury Mykonos Villa Gal that will offer you the memories of a magic summer. 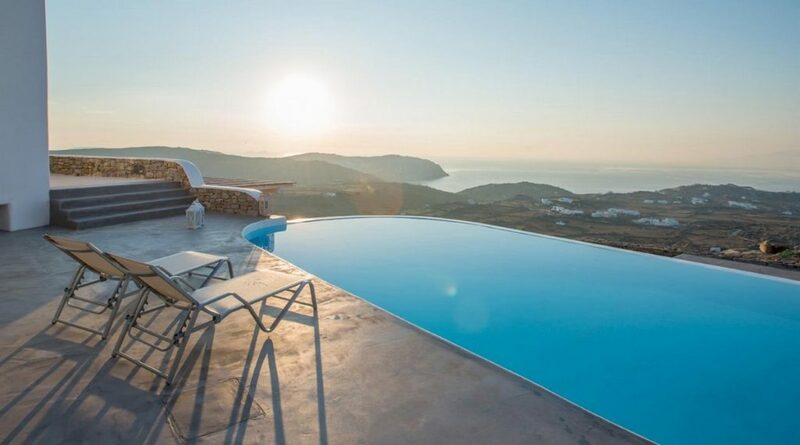 Enjoy the privileged wind protected location that is only a 10-min drive to the beach and offers breathtaking view over the Aegean Sea. 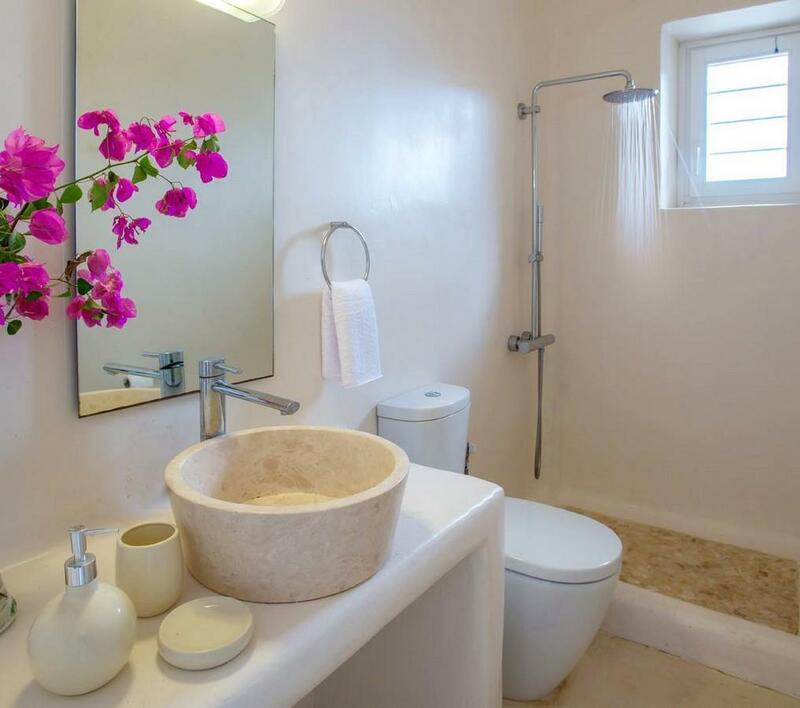 The villa can sleep up to 12 guests, who want to indulge into privacy and quiet lifestyle, but also have the opportunity to reach the town quickly. Gal offers 400 sqm. of extensive terraces and an amazing infinity pool, thus embracing the true spirit of the summer life. 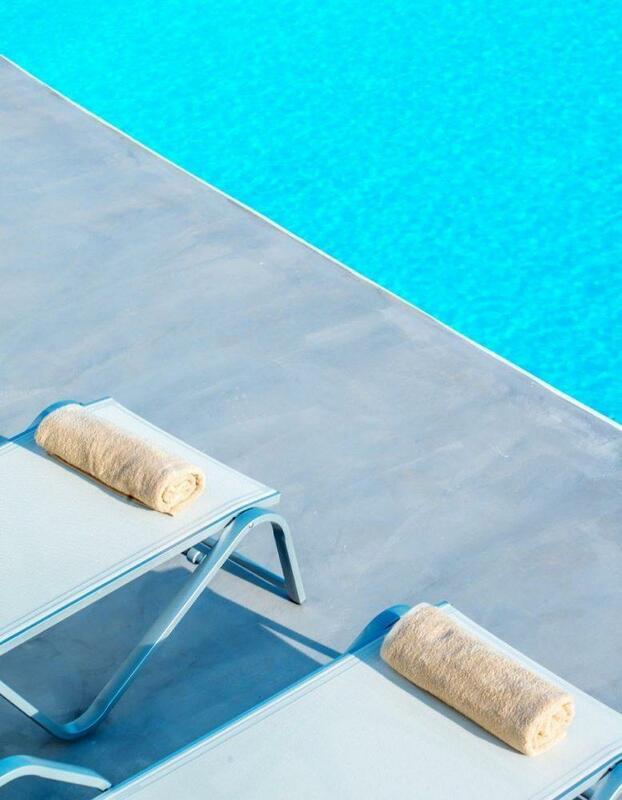 Comfortable summer furniture and sun loungers allow guests to soak up the Greek sun, while pergolas provide refreshing shade for the guests to enjoy breakfasts and meals. 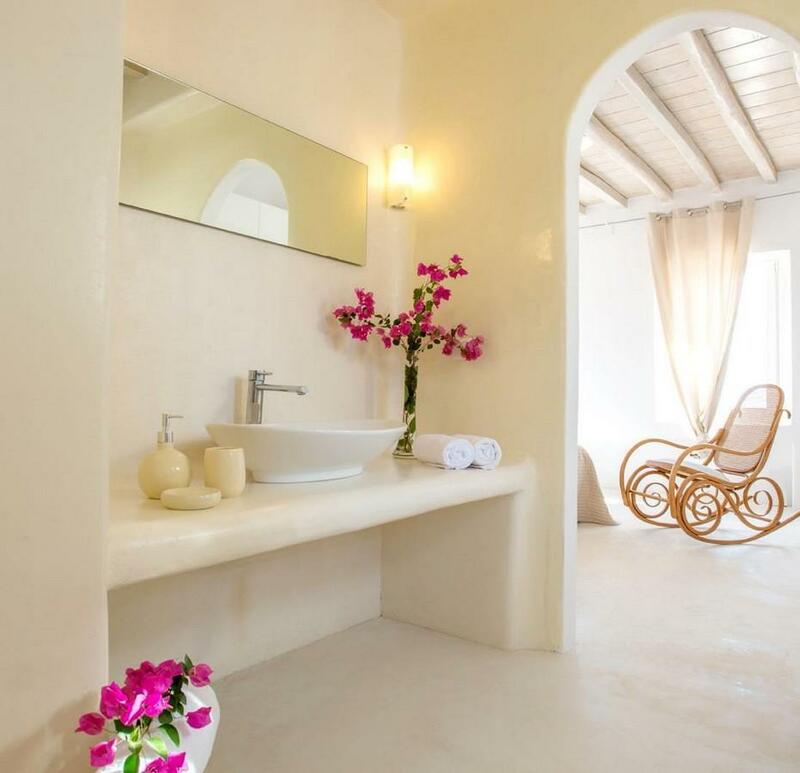 The villa is true to the traditional Mykonian architecture, spiced up with minimal and modern details. 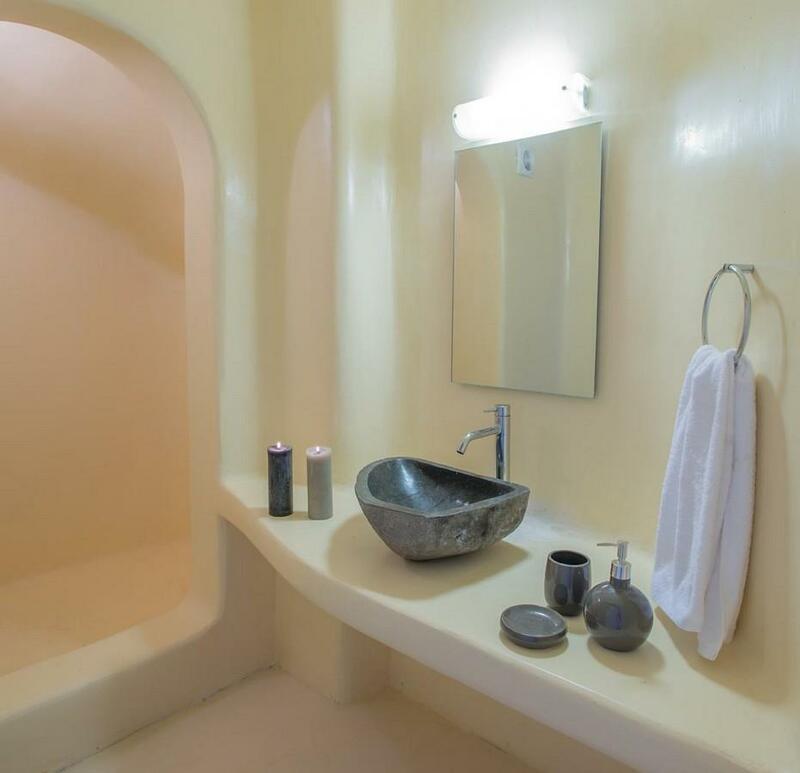 The interior of the villa is divided into 3 levels, giving the guests the chance to experience privacy and freedom, while staying close to each other. The communal areas - living room, the fully equipped open- plan kitchen and dining area - have direct access to the exterior lounge areas and pool. Book a private sunset dinner with our chef. 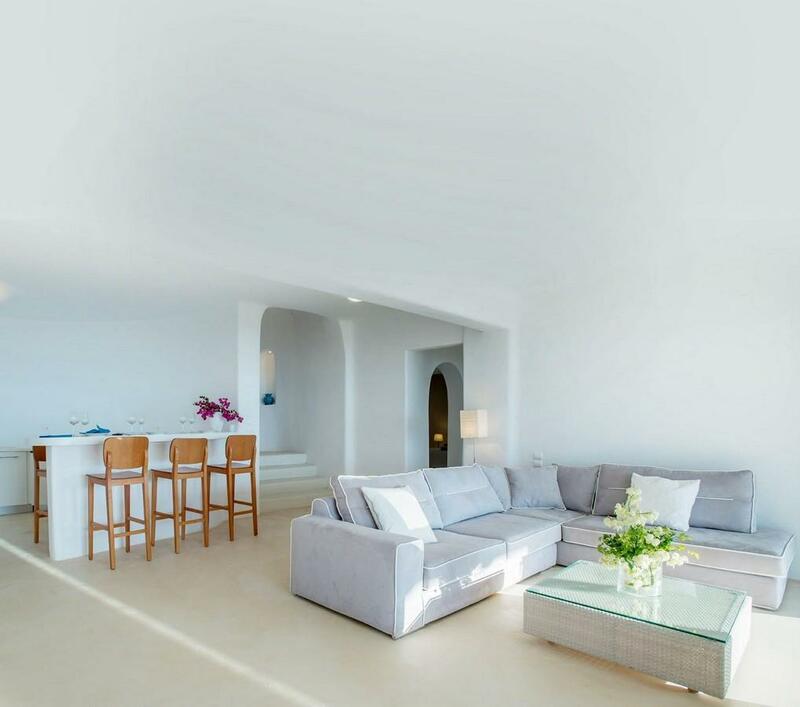 The luxury villa for rental offers an outdoor BBQ and a fantastic dining area, where you can enjoy a meal made exactly like you want it. 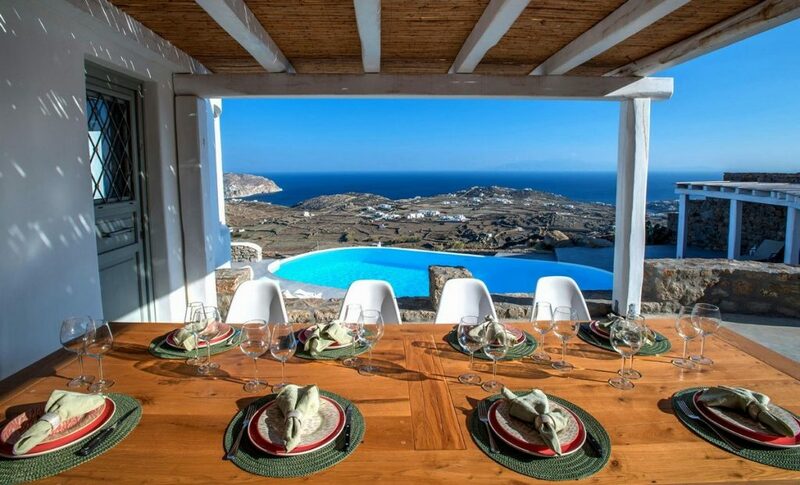 Dine in style at the privacy of your villa. Our concierge can book it for you right away! 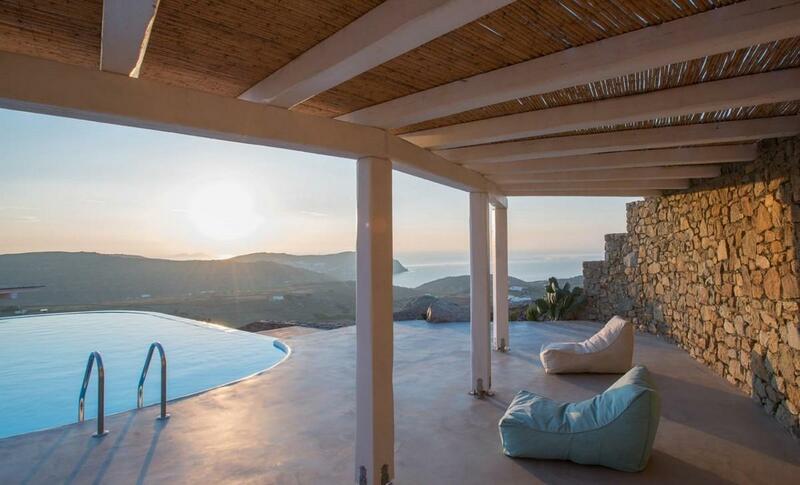 The villa is one of the new properties on the island; built in 2014 and renovated in 2018. Also, the villa is goof for family groups, but is not suggested for families with small kids.